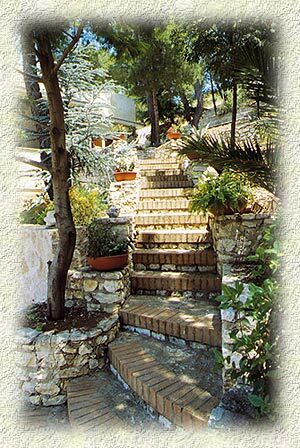 Fara del Falco is the family agriturism residence situated in the beautiful picturesque place. It is a perfect place for trekking and cycling. If you like silence and nature you will feel wonderfully in our residence far away from noise and overcrowded campsites. It is the perfect place for family holiday. 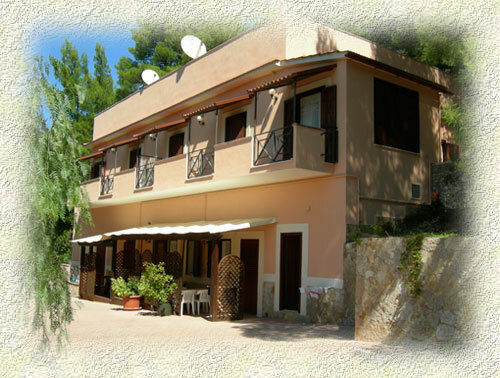 Our residence is situated in Gargano peninsula ( Gargano National Park) between Vieste and Peschici, 1.8 km from a big old forest (Foresta Umbra) and 5 km from the sea. 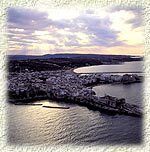 The Gargano coast is plenty of bays, caves and sandy beaches where one can rent any swimming equipment. It is the perfect place to spend the holidays surrounded by the beauties of nature. 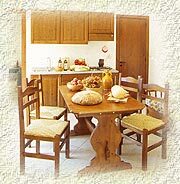 We have got comfortable apartments with central heating furnished in folk style for 2 to 6 persons. In every apartment there are a spacious living room with a cooking corner and a balcony or terrace, a bedroom, a bathroom with bidet and shower. Among the services there are a playground for children, a swimming pool, tennis court and a small football pitch with lighting, mountain bikes and archery all free at our guests disposal. The residence is surrounded by the Mediterranean and pine garden. Guests can buy our local food as well. There are many bike and trekking tracks to Foresta Umbra and places to visit eg. Villa Romana and Sanctuary of St. Maria from Merino with important historical and archaeological collection. It is also worth seeing: Grote marine ( boat trip to visit caves), Monte Sant'Angelo, S. Govanni Rotondo, trulli in Alberobello, caves in Castellana, Safari zoo in Fasano.